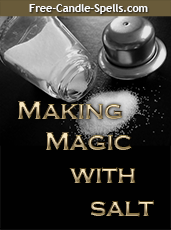 Free Candle Spells | Create Your Own Love Magic in Your Kitchen! February….the month of Love, Love, wild and wonderful Love! The month of February holds the feast day of the Patron Saint of Love, Valentine, but also is a very early precursor to Spring. The Sun seems to shine a wee bit more than the last few months and we can see some very early flowering bulbs such as hyacinth, tulips, snow narcissus and even a few early daffodils peeking through the snow and dirt. February is a perfect time to consider Love Magic as committed couples have entertained throughout the Holidays, and buckled down to finances and early tax preparation in January. Single individuals have created New Year’s resolutions to focus on becoming one with another, and the onset of Spring (and awakened hormones) is spurning you to create the perfect Love Magic fragrance to wear to seduce and attract that perfect mate. The addition of certain herbs, roots, and spices to fragranced oils is a time honored tradition in Hoodoo and Conjure. Wise practitioners know the certain magical and physical properties of their botanicals, and add them to oil to create the perfect recipe for the desired effect. Here are some common kitchen products that you can add to any fragrance oil to boost their love drawing power! Almond Oil – A specialty oil that is found in many high-end gourmet shops, it can also be found in many health foods markets. Almond oil is light and a good base for creating love fragrances. Many cooks use almond essence as a substitute for cherry flavoring in baking. Rose Flower Water and Orange Blossom Water are both good bases for the creation of lighter fragrance colognes that you can add herbs and spices to for alluring scents for attracting love. You can find both these food grade waters at specialty food stores in large Asian and Middle Eastern communities or online. Cinnamon – Cinnamon, a very common spice and a powerhouse of attraction, is a warm spice, meaning that it contains “hot” components to its structure. 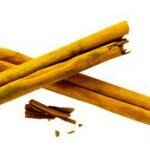 Cinnamon creates a fuzzy, cuddly feeling when the scent hits the nose. It softly tells the world that the wearer is near and approachable, ready for that small talk that leads to much longer conversations. It allows others to “let down their guard”. This is why real estate agents suggest placing a Pyrex dish of water and cinnamon powder in a low temperature oven, so that it will be inviting to prospective buyers. Cardamom – The favored spice of the Orient, cardamom is used in many Middle and Far Eastern dishes. The exotic scent of ground cardamom alerts others that you are worth of desire and that you are filled with lust. It tantilizes and intrigues others to come closer and find out who IS this exotic individual. Ginger – Once a connection has been made, Ginger, either in root chips or powdered form, is the next step in creating fragrances to attract love. Ginger is spicy and “hot”, and in Hoodoo is used to “heat things up”. It’s sharper aroma perks up the nose, sending a “I’m here and ready for you” message to the prospective paramour. Catnip – While you cannot find this in your ordinary grocery store, it is available in bulk form in certain natural foods stores and also at the pet store. Catnip is intoxicating and has the drawing power that makes you enticing and as charming as a gentle kitten in one’s hands. Red Clover – You may find this in the natural foods section in the form of tea, or again at the natural foods store in bulk. Red Clover is traditionally used as a magical herb for earth-shattering intimate moments between you and your loved one. Rosemary – Traditionally a herb that empowers women, rosemary is also used to attract faithfulness and aids and assists in a long term relationship or matrimony. It creates the power of satiety, so that your lover does not need to go searching anywhere else for love. These are just a few of the many botanicals that have been used to attract love and is available through many wise hoodoo practitioners. When used wisely in combination, these botanicals aid and assist in drawing someone closer to you for a love connection.